Constructed of a cotton/polyester blend, wash-and-wear fabric. The pullover top features contrasting colors and a v-neck collar. The pants are made with an elastic waistband and two tone striping down the leg. 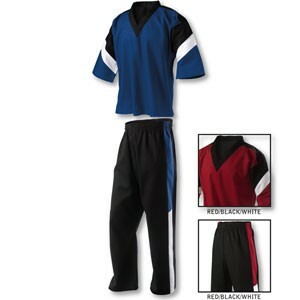 Complete uniform includes jacket and pants.